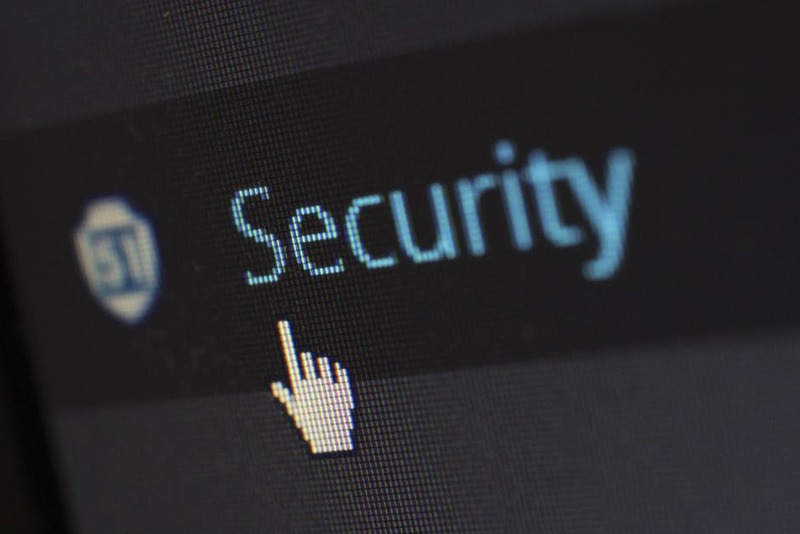 9 Types of Security Software You Should Consider Using for Your Website | Host.ie - Linux Hosting packages for all your Irish web hosting needs. These attacks are getting more and more sophisticated. As a business owner, you can’t afford to take chances. You need to have the best types of security available to ensure you’re adequately protecting your customers’ data. An information leak could have a devastating impact on your business. You need to make sure you’re doing everything you can to keep your customers’ information safe. This is especially important if you’re handling sensitive data. Do you have a solid strategy in place to deal with issues such as malware, distributed denial of service attacks, and ransomware? If you want to keep your business and your customers safe from these kinds of attackers, you need to have a multifaceted security policy. Simply running antivirus software and having a firewall isn’t enough. Cyber attacks have become increasingly sophisticated. You need to put up a lot of walls around your customers’ data if you want it to be safe. This article will highlight some of the most important types of computer security that you should implement on your website. A computer antivirus is one of the most essential kinds of software. Any computer systems that have access to the back end of your website absolutely must have antivirus software. Having good antivirus software will protect your business from a large range of security threats. So which is the best antivirus for your business PCs? Unfortunately, that’s not an easy question to answer. There are many factors to consider. Some antivirus software is more affordable if you buy a bulk licence. The number of PCs you want to protect is a key factor. If you’re shopping for antivirus software, make sure you check out comparison sites like av-comparatives.org. These sites do a lot of analysis on the most popular antivirus programs and compare the results. They run these tests at least every year, so you can see what the best antivirus software on the market is. Different programs have their advantages and disadvantages, so choose wisely. Do you need your business computers to perform high-performance tasks? Then perhaps you should consider an antivirus like ESET, which performs its functions with minimal resource usage. Does your website offer software as a service to your customers? In that case, you need to invest in some solid SaaS security. This applies to any software you integrate into your website. Any traffic from your site’s software needs to be properly encrypted. This will mean a security breach on your site is not automatically a security breach on your software as well. When it comes to SaaS security, there are many options available to you. For example, you might be interested in software from Symantec. They’re a top brand for cyber security. Good network security is one of the essential types of security. Network security has many factors. For example, not only do you need to have good firewall software, but you also need to ensure your wifi is properly encrypted. In order to have truly effective network security, you need to have the right hardware as well as effective software. Thankfully, there are companies out there who can assist you with monitoring your network security. For example, you could consider working with an organisation such as Cisco. You’ve probably heard of “bots”, but what exactly are they? Not all bots are inherently bad. Good bots are sometimes called “web crawlers”. These bots gather legitimate information. Many of these bots, however, are malicious. These kind of bad bots are self-propagating malware. They can do things like log keystrokes, gather passwords, or launch DoS attacks. If you’re dealing with customers’ information, you can’t risk getting infected by these kinds of bots. If you want to avoid a bot attack, you should look into bot mitigation software. For example, software from Incapsula can help to protect you against DoS attacks. The software is able to separate the bad bots from legitimate users. The advantages associated with a content delivery network are twofold. Firstly, it can help to improve the loading speeds of your company website. On top of boosting connectivity speed, it can help to improve your network security as well. If you receive a lot of global traffic, it’s well worth considering a content delivery network. When you’re purchasing such a service, make sure you go with a provider who is serious about security. Akamai and Cloudflare are two companies who are known for their secure content delivery network software. If you’re running an online business, you’re probably using e-commerce software. If you use any sort of this software, you need to be sure it is PCI-compliant. You’ll also want to make sure they have a good reputation for security. Failure to have good e-commerce security could expose your customers. They could suffer from phishing attacks or credit card fraud. Needless to say, failing to have good security on your e-commerce software could have a devastating impact on your business. If you’re not already using payment gateway software, you should be! The majority of payment gateway software is fully PCI-compliant. It adds an additional layer of protection to your customers’ data. Stripe, Amazon Payments, and Skrill are 3 examples of payment gateway software. If you use a well-known piece of payment gateway software, not only will it increase your payment security, but it will also increase perceived security. When your customers can pay using a service they’re familiar with, they’re more likely to see your company as trustworthy. If you don’t use payment gateway security, you risk turning off potential customers. Chances are, your company is using a content management system on its website. Popular content management systems include WordPress or Joomla. These programs are constantly updated by the developers as new security risks come to light. Unfortunately, a lot of people are using out-of-date versions of these apps. This exposes your site to a lot of security vulnerabilities. On top of making sure you’re always running the latest versions, you should also take some other steps. Your password should be secure. This means it’s a combination of uppercase and lowercase letters. It should also contain numbers and special characters. You should also use a non-obvious username. Using your own name as a username, for example, makes it very easy to guess. You should make sure that every computer with access to your company website is running an appropriate OS. If you’re using Windows, for example, you need to make sure your OS is completely up-to-date. Microsoft frequently release essential security updates. Failure to keep a computer that has access to your site updated means you’re exposing your company to risk. Make sure you and your employees are in the habit of keeping your operating systems updated. Whatever kind of business you’re running, you should take all types of computer security into account. If you want to have truly effective security, your strategy needs to be multilayered. If your customers’ data is leaked, it could have a huge effect on your company’s reputation. The public will see this kind of failure as reflective on how you run the rest of your operation. You’ll probably come across as not caring about data protection or your customers. Security software is only part of securing your company. You also need to make sure your employees are fully educated about good security practices. They should be aware of malware and how to avoid it. They should also have a strong password that’s regularly changed. A good idea is to host a security seminar. Often, this will lead to people changing their security practices for a few weeks. But then they slip back into old habits. If you want to have good security all year round, you need to have regular retraining sessions. You also need to implement checks. Are your employees changing their password to a secure one every month or so? You should also empower your employees to come forward with any security concerns. If someone receives a questionable email, they should feel comfortable and encouraged to tell whoever is responsible for security about it. While this might produce a lot of “false positives”, it should be good practice. You can streamline your security situation by choosing the right hosting company for your website. Many hosting services offer security packages which will simplify the steps you need to take on your end. Many companies, for instance, offer automated malware scanning, detection, and removal. You should look for companies that have SSL certification. When it comes to types of security, having a varied mix is always a good thing. Do you want to protect your website from security threats? Then check out our SiteLock Security feature!